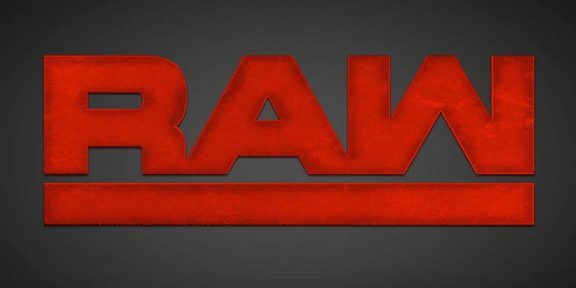 Raw emanates tonight from the Barclay Center in Brooklyn, New York. We know that Roman Reigns will be appearing; whether it is live or via video is the unknown. He is to provide us an update on his health, and hopefully a timetable for return! After last week, what will the rapport between Dean Ambrose and John Cena be like? How will Seth Rollins and The Authority continue to stir the pot between them? Big Show and Rusev are scheduled to go at it; which behemoth will come out on top? Also, will Mark Henry get involved considering his recent change of attitude? The WWE World Heavyweight Champion, Brock Lesnar, and his advocate, Paul Heyman, have been missing in action the last couple of weeks; will either one (or both) show up in Paul E’s home state? Footage of Dean Ambrose’s prank on Seth Rollins, where he rigged the briefcase with green slime, starts off Raw. The man who got gooed last week, Seth Rollins, marches out to the ring. He demands for his theme music to be shut off and is irate at Dean Ambrose’s prank. Rollins then shows video of him, Randy Orton, and Kane laying out Ambrose and Cena at the end of last week’s Raw. “That’s what happens when you disrespect me,” declares Rollins. “One thing you do not do is embarrass Seth Rollins.” He calls himself “the living, breathing, future of the WW…” before he gets stopped by agents Joey Mercury and Jamie Noble. They warn him to get out of the ring, but Seth relishes in the fact there is a “target” on him. The Authority, Stephanie and Triple H, now come out and aren’t pleased with the way Raw started. They realize both Cena and Ambrose want a piece of Rollins, so they book Ambrose to tag with Cena, facing Orton, Kane, and Rollins. Replay of The Big Show’s apology from Smackdown to Rusev and Lana is shown, and later tonight they will give their thoughts on the 7-footer’s sorry. Up next, Intercontinental Champion Dolph Ziggler and The Usos will take on Cesaro and Tag-Team Champions The Dust Brothers! A scuffle quickly ensues, with Goldust throwing Jey shoulder-first into the steel steps. The bout officially begins, with Stardust and Jey starting out. Stardust controls, amid loud “we want Ziggler” calls from the fans. The heels dominate for a bit, until Jimmy gets the tag and is all over Cesaro! Jimmy whips Cesaro hard into t turnbuckle, then follows up with a running rear-bump. It breaks down quickly between all, as Cesaro chucks Dolph into the steel steps. Cesaro still dominating Jey, nails a jumping dropkick as Jey was laid against the bottom rope. Goldust now in, stepping/pressing on the head of Jey, but Jey fights back and gets the hot-hot-tag to Ziggler! He runs in with leaping clotheslines on Cesaro, as well as knocking Stardust off the apron. He brings Cesaro down with a neckbreaker, then tilt-a-whirls around Cesaro and clamps on the sleeper! Cesaro runs Ziggler into the corner to break it, but Dolph comes back with the Fameasser. 1 – 2 – Goldust stops the count! The Usos come in and soar over the ropes onto Gold and Stardust! Cesaro takes advantage, nailing Ziggler with the uppercut, but The Usos break up the subsequent count! Stardust drops Dolph with a reverse DDT, but the I.C. Champ gets the shoulder up at two! Stardust runs at Ziggler, but Dolph shoves him off. The Usos are back in, and they both plus Ziggler hit Stardust with a triple-superkick! Jimmy follows up with the Superfly Splash for the hard-earned victory! John Cena’s appearance on The Today Show, promoting WWE’s partnership with the Susan G. Komen Foundation for a cure. Up next, the hosts of The Today Show, Kathie Lee Gifford and Hoda will be on Raw. 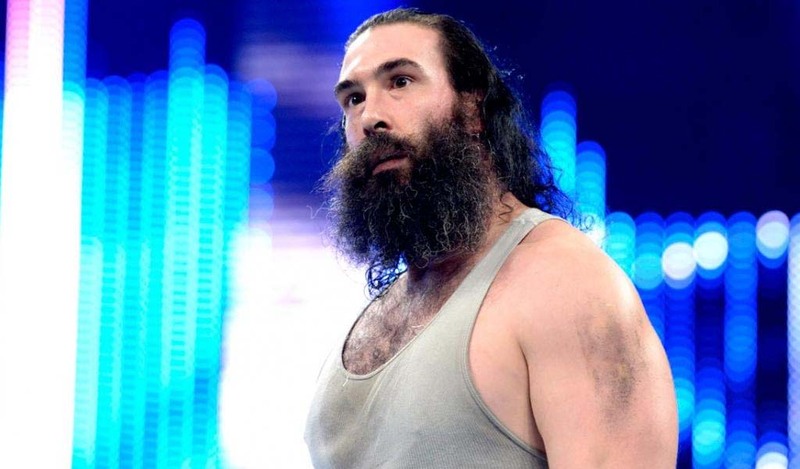 The same video of Bray Wyatt “recreating” Luke Harper airs. As always, creepy, but was expecting a new version. Henry completely dominates this bout, until he tries to give Dallas a World’s Strongest Slam through the announce table. Bo escapes it and makes it back into the ring prior to 10! Post-match, Henry is frustrated as Bo makes it up the ramp extremely happy. Dean Ambrose is out and is not pleased with one John Cena. He’s not a fan of Cena getting in the way of his “space.” Dean shows the ending of Smackdown, where Cena chased after Seth Rollins and left Ambrose to fall to Kane and Orton. Ambrose says he is giving it his best to like Cena and not engage in war with him. He asks Cena to come out and “has it out.” He meets Ambrose in the ring, and keeps it short and sweet, telling the fans that if they get what Dean does, then they get what he does, and Dean gets what he does. Ambrose agrees, saying they don’t care about each other; they both just want to get their hands on Rollins. He also wants to get his hands on The Authority, all by himself. Cena gives him kudos for having “guts,” and “saying and doing whatever the hell you want.” He warns him that model comes with repercussions, as if he says or does whatever to the person in the ring, then he may regret it. Ambrose decides to leave instead, citing that is just gong to take off and leave Cena to face Orton, Kane, and Rollins all by himself. John Cena runs into Triple H. “The Game” sarcastically mocks Cena and puts down Dean Ambrose for leaving. (Footage was shown of him exiting from the arena on a subway.) All Cena wants is to get his hands on Seth Rollins. Brie must have one of her arms tied behind her back, as per orders of Nikki and The Authority. Summer predictably controls most of this, until Brie pushes her against the ropes and delivers a running knee for the 1 – 2 – 3! Director Of Operations Kane is not pleased with The Miz and Mizdow trying to bribe The Authority with a fruit basket. He books Miz to take on United States Champion Sheamus, later tonight! Jack rushes Tyson in the corner at first, but Tyson uses his quickness to run around Swagger. He ends up getting a shoulder block by Swagger, but slides out of the ring and gets Natalya to distract Jack so he can kick him. Kidd slingshots Swagger into the bottom turnbuckle, then brings him down with a neckbreaker. Tyson locks on a grounding rear chinlock, but Swagger rises out of it and clotheslines Kidd! Jack tosses Kidd across the ring and follows up with the Swaggerbomb splash! Both trade submission holds, then Kidd nails Swagger with a kick! He climbs the top rope, but Swagger meets him up there and chucks him off, then locks on the Patriot Lock Ankle Lock, forcing Kidd to tap out! One of the greatest tag-teams, and individual superstars, Edge and Christian appear on screen! 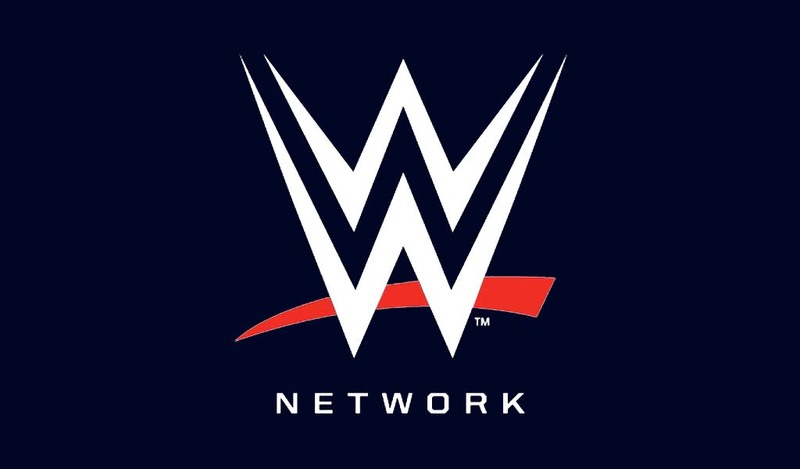 They plug “Edge and Christian’s Smackdown 15th Anniversary Show That Totally Reeks Of Awesomeness!” This will air on the WWE Network (for $9.99!). It is announced that Dolph Ziggler will defend his Intercontinental Championship against Bo Dallas on Main Event this week! “The Ravishing Russian,” Lana, and the “Super Athlete” Rusev make their way to the ring. Lana has the microphone and proclaims today a great day for being the birthday of Russia’s President, Vladimir Putin. He also wants us to praise “The Bulgarian Brute,” Rusev, and is also happy that The Big Show is not wrestling tonight due to his actions last week with the Russian Flag. She rips the fans, who fire back with “U.S.A.” calls. Once again, Rock responds with words only he can but Lana threatens that Rusev will take him apart. Rock promptly disposes of Rusev with punches that send Rusev to the floor! “If ya smell what The Rock is cookin’!” Rock’s music plays as Rusev and Lana hightail it to the back. A.J. and Fox begin, with Lee kicking and shoving Alicia into Paige on the apron. A.J. goes after Paige, slamming her head on the commentator’s table. She switches with Emma, but Alicia takes control. Emma catches Fox with a roll-up for two! Emma runs at Alicia in the corner, but Fox counters. Fox does the same, but Emma moves and grapples on the Tarantula, using the ropes. She splashes Alicia in the corner. A.J. wants a tag bad, but Emma isn’t going for it, so Lee walks off. Emma turns around into a stiff kick from Paige, then the RamPaige to give this one to Paige and Alicia! Cole, Lawler, and Layfield wish Hall-Of-Famer, the legendary, Bruno Sammartino a Happy Birthday. He turned 79 years old. Miz tries to avoid Sheamus for a bit, then slaps him across the face. He rolls out of the ring but is grabbed by Sheamus. Miz counters, is whipped off the ropes into an axe handle. He is caught again off the ropes into a scoop-slam, but uses the ropes to jawbreak Sheamus. Miz climbs the turnbuckle, but is punched in the gut as he rocketed off! Miz gives Sheamus a boot out of the corner, but is flipped over as he tried the Skull Krushing Finale. Miz moves out of the way of a Brogue Kick attempt for a break. Miz has Sheamus in standing side headlock, then runs at him with a clothesline in the corner. He harshly kicks and punches away in the corner on Sheamus, then uses his boot to choke the Irishman. With the ref distracted, Damien slaps Sheamus to a big pop from the fans. Miz locks Sheamus in a grounding chinlock, but Sheamus gets out of it by backing him into the corner. Sheamus delivers a couple of double axe-handle smashes, then a running knee smash! He slams Miz against the canvas with a tilt-a-whirl powerslam, then signals for the Brogue Kick; however Mizdow pulls Miz out of the ring. Sheamus takes umbrage and puts Damien into the barricade. He goes for another Brogue Kick, but Miz ducks and Sheamus nails Damien! This allows Miz to roll-up the U.S. Champ for the 1 – 2 – 3! Post-match, Sheamus chases off Miz and Mizdow with a steel chair. Edge and Christian are back, continuing to promote their show which “Reeks Of Awesomeness” and is airing on the WWE Network for only $9.99 after Raw! It looks like Seth will begin with Cena, but Rollins quickly switches with Kane. Cena rushes him in the corner with punches, then knocks Rollins off the apron. Kane takes advantage and this quickly turns into the heels controlling. They toy with Cena, until John makes his usual comeback against Seth. He clothesline him down, then knocks both Orton and Kane to the floor. Cena hits the shoulder blocks on Rollins, then spins him around with the backdrop. He hits the Five Knuckle Shuffle and goes for the Attitude Adjustment, but Kane comes in and boots Cena, causing the weird dq. Post-match, the beatdown continues, with Kane chokeslamming Cena. Orton sets up for the R.K.O., but Dean Ambrose’s music plays, distracting them! He walks out with a hot-dog vender machine. Of course, he uses the food and cart to assault Kane and Orton, spraying mustard and ketchup onto them, then ramming the vehicle into them. He runs into the ring and begins punching Rollins until Kane and Orton try to break it up. Ambrose disposes of them, then goes after Seth again. He pours more food all over him, the clutches him by the crotch with the tongs! Kane receives an Attitude Adjustment, but Seth crawls to the back. Triple H’s music blares, and he and Stephanie walk out. Triple H books the first two matches for Hell In A Cell; first with Dean Ambrose VS. John Cena, and then the winner of that contest facing Seth Rollins in the Hell In The Cell! Ambrose then drives Cena down with a DDT, declaring it’s on! He stands over a downed Cena to close the show! This was a pretty good Raw, and finally setup the next Pay-Per-View. There were some good matches and great promos, but some bad ones too. Par for the course, so let’s pick it apart! Excellence: Opening segment – loved the twist of Cena coming out first and then Ambrose meeting Rollins in the crowd. This shows that Dean always thinks one step ahead and will do whatever to get his hands on him. Six-man with Ziggler/Usos/Dust Bros/Cesaro; great chemistry and physical, plus entertaining character-wise, especially with Cody and Dolph. Awesome appearances/promos by Edge & Christian and The Rock. Even though it was a minor role for E & C, they made it seem big, which is the magic of what they’ve done for the last fifteen years! With The Rock, I truly did not see him coming out and was a superb surprise! The entire segment worked really well, and even though he dressed down Rusev/Lana as he usually does/verbally, they still look strong and held their own/can go toe-to-toe with him, I believe. I’d love to see more interactions between all three! Miz and Damien have awesome chemistry; San/Mizdow has a helluva personality and I hope they let him continue to show it off. As always, I am happy when WWE really puts over charities and foundations, and tonight was even more fantastic. I quite enjoyed and intently listened to Joan Lunden’s speech. She really spoke eloquently and, like I said above, much better than some wrestlers! Here’s praying/hoping for continued awareness and to one day find a cure! Brie/Nikki needs to end soon; getting boring. A much as I like Jack Swagger and Tyson Kidd, was not interested in the storyline of Kidd/Natalya, and the match really could’ve been one for Main Event; was pure filler. Getting tired of the two/three-on-one matches and the sudden dq’s for two/three-on-one beatdowns. The object of a tag-team bout is to save your partner; why would Kane get disqualified for booting John Cena when he was going to give the A.A. to Rollins? Makes no sense! As well, the booking of H.I.A.C. was predictable; a better main event tonight would’ve been Cena & Ambrose going at it, then the winner faces Rollins in Hell In The Cell. It gives just one more week of build up between Rollins and either Ambrose or Cena. 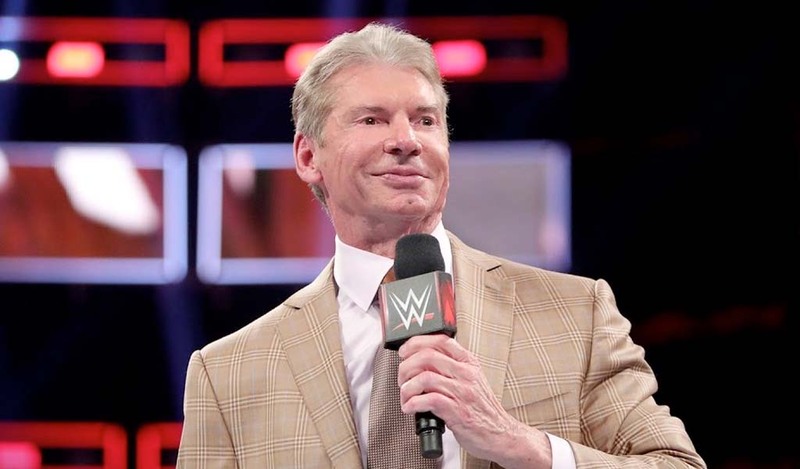 All-in-all, I liked Raw and am looking forward to the next one. Note, I will be away on vacation, so I won’t be writing until October 20th. Until then, as always, Be Excellent Wrestling-Online Readers and Wrestling Fans!